Elder Aquila Minnor coordinates the Mount Zion Fellowship Youth Department, which includes the children, youth, and young adult ministries. He graduated Class Valedictorian from East Technical High School. He was awarded a full scholarship to Ohio State University where he earned a Bachelor of Science Degree in Education. Elder Minnor was called to Mount Zion Fellowship in July of 1997. He served as a children’s church worker, a Sunday school teacher, and a member of the Pastor’s Appreciation Committee. He was ordained as an Elder in May, 2003. 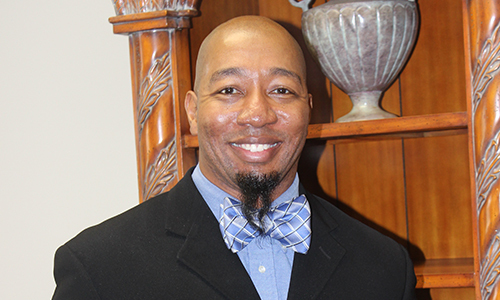 In 2009, he was elevated to Associate Pastor by Dr. Williams. Elder Minnor has always had a call to work with youth. He was a mentor for the Ohio State Minority Mentoring Program and a counselor for their Young Scholars Program. He is currently employed with Cuyahoga County Department of Employment and Family Services.